Whether you are staying in Branson, MO, Hilton Head Island, SC, or Ormond Beach, FL, there are exciting and interactive events going on at the resorts! We asked the Activities Staff from each location to provide their Top Picks they are most looking forward to bringing you this Fall Season! There are always great shows to see and great attractions at Silver Dollar City, but this fall season the Branson Activities Staff picked their favorite events to share with you! Fun, Food & BBQ – Our Fun, Food, and BBQ is an extraordinary event that takes place every Tuesday evening at 4 p.m. Guests join us for a variety of Branson’s best entertainment as well as a mouthwatering BBQ dinner supplied by Rib Crib. 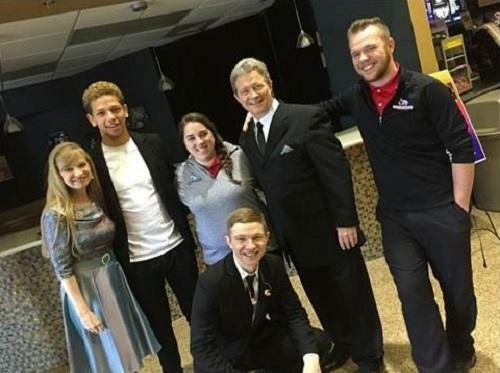 We have entertainers such as The Bretts, Prince Ivan, AYO, Hughes Brothers, and The Duttons come by the resort and perform for our owners and guests. The show typically lasts around 2 hours with about 15 entertainers performing. 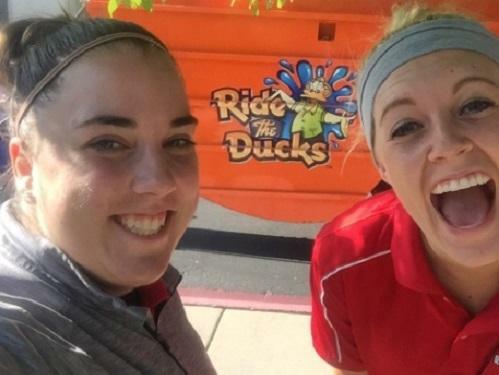 Ride The Ducks – We know what you’re thinking and just to clarify, you do not actually ride poor little ducks! Guests climb aboard a WWII amphibious vehicle for some great family fun. Experience an exciting and entertaining tour of Branson on land and water. A light breakfast is provided before the tour. Free Wacky Quackers to all who Ride! The tour is 90 minutes long and takes place every Wednesday. Enjoy eating breakfast at The Palace View Clubhouse at 9 a.m. and board the Ducks at 9:30 a.m.
“It” Hughes Brothers Show – What’s more important than seeing “it” and hearing “it”, feeling “it”? Sign up today to see the Hughes Brothers Show. With five brothers, five wives, and their thirty-nine children, the Hughes Brothers Show is the world’s largest live performing family. This talented family creates arrangements from Broadway to pop, and everything in between. A free shuttle will take guests to and from the show. Pick up is Tuesday at 7 p.m. at the Clubhouse. Hamner’s Unbelievable Variety Show – Guests can sign up today to see amazing mind-blowing magic, edge-of-your-seat acrobatics, exceptional ventriloquism, and outstanding vocalists! You are sure to be amazed at Hammer’s Unbelievable Variety Show where birds appear, people fly, and voices soar! The free shuttle will pick up registered guests at the Clubhouse Wednesday evenings at 7 p.m. and take them to the show. Wake Up With The Bretts – Sign up today for this Exclusive VIP Experience! The Bretts Show is not your average family variety show. With a dizzying array of awards and accomplishments, this dynamic family produces a power-packed, two-hour entertainment experience that combines the best in music, lighting, video, dance, comedy and genuine artistry perfect for all age groups. Explore the adventures that Hilton Head Island offers! Island Winery Tasting & Tour – What better way to spend a Tuesday afternoon than sitting among aged oak barrels sipping on unique wine blends exclusively at the Island Winery? You will enjoy a flight of up to six red and white varieties and given a glass of your favorite selection along with a cheese plate at the conclusion of the tasting. Leave the driving to us as free transportation aboard the Spinnaker Shuttle is provided. This experience is on Tuesdays with the shuttle departing Waterside at 2:30 p.m. and Bluewater at 2:45 p.m. Please be sure to reserve your spot in our sign-up book located in either the lobby of Waterside or Bluewater by noon on Monday. Island History & Heritage Event – When you step onto our fair island, you are stepping onto sites of some of the most important events in our nation’s history. 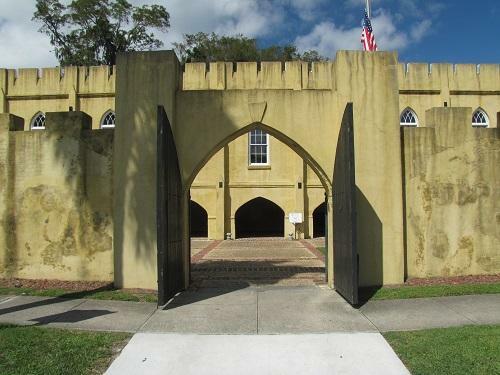 From the mysteries of prehistoric shell rings to pirates and rumors of buried treasure; from renowned patriots of the American Revolutionary War to the Naval Battle of Port Royal during the Civil War, you will be amazed at the depth of history this little island holds. Join us at our Bluewater Resort Lounge for this in depth afternoon discussion lead by local historians from The Heritage Library, Wednesdays at 4 p.m. Light cocktails and hors d’oeuvres will be provided. Please be sure to reserve your spot in our sign-up book located in the lobby of either Waterside or Bluewater by noon on Tuesday. 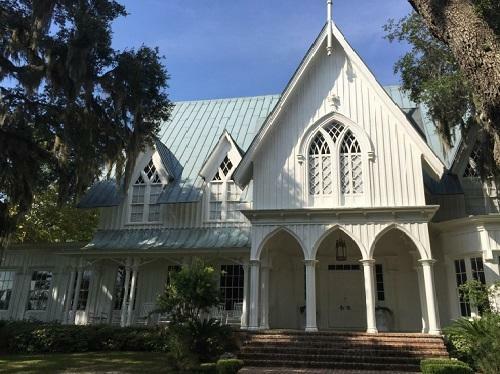 Rose Hill Plantation Tour and Bluffton Farmer’s Market – Back by popular demand, hop aboard our Spinnaker Shuttle for a quick trip across the bridge to visit one of the few remaining antebellum homes in Bluffton. Spend the afternoon with Rose Hill’s informative docent and learn about the plantation’s original owners, the Kirk family, and slaves who worked the land growing indigo and Sea Island cotton. You will enjoy a delicious snack buffet featuring local delicacies and a glass of sweet tea at the conclusion of your tour. 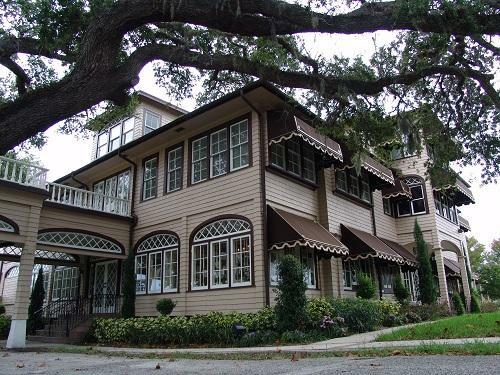 Before heading back to Hilton Head Island, we will take you to delightful Old Town Bluffton to enjoy a stroll down historic Calhoun Street to enjoy its unique boutique shops, art galleries, and the Bluffton Farmer’s Market. This experience is on Thursdays with the shuttle departing Waterside at 1:15 p.m. and Bluewater at 1:30 p.m. Please be sure to reserve your spot in our sign-up book located in either the lobby of Waterside or Bluewater by noon on Wednesday. Lowcountry Excursion – Spend the day in beautiful Beaufort, South Carolina, often called “Charleston’s charming little sister”. Used as the backdrop of such films as Forrest Gump, Prince of Tides, and The Big Chill, you cannot miss this opportunity to see the sites and stroll the streets of this Southern Jewel of a town. We begin our day visiting the Port Royal Maritime Center, learning about the unique marine life, ecosystems, and the area’s historic economic dependency on local shrimp and oyster harvesting. Next, we will head to the Santa Elena History Center where archeologists are making new discoveries and America’s history is rapidly changing given the newly discovered “First Settlement in the Americas”. You will hear about the Spanish and French explorers who frequented our waters and settled our area before the days of St. Augustine. After our first two stops, it is time to explore downtown Beaufort on your own. Stroll the streets lined with antebellum homes, enjoy the quaint local shops, and have an afternoon lunch at one of its delightful waterfront restaurants. This experience is on Fridays with the shuttle departing Waterside at 9:15 a.m. and Bluewater at 9:30 a.m. Please be sure to reserve your spot in our sign-up book located in either the lobby of Waterside or Bluewater by noon on Thursday. Aside from the picturesque beaches, Royal Floridian has a variety of exciting activities for the whole family. Wine and Cheese Bingo Social – People just can’t seem to get enough bingo! Grab a glass of wine or juice and help yourself to a cheese and cracker plate. This event is always packed and people are on the edge of their seat hoping to win one of our many prizes including bingo key ring charms, a variety of small wines, large wine bottle jackpot, kids treasure chest tokens, and more. Great fun for all ages! 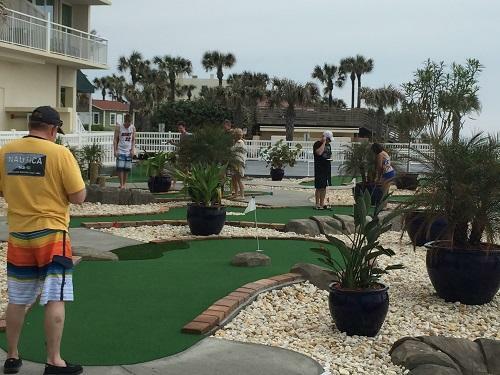 Putt Putt Tournament – Join us for a Putt Putt Tournament on our newly designed course. The miniature golf course opened at the beginning of the year and people are finding it quite the challenge. Guests say it’s a great adventure to play in a tournament with other guests while enjoying the calming ocean breeze. DIY Hand Sugar Scrubs – Scrubs are the new craft for the fall season! We have a variety of essential oils so you can choose your favorite blend to exfoliate and soften your hands. Our fall fragrances are mocha spice, vanilla cinnamon spice, cinnamon spice, pumpkin pie spice and candy cane. We also have lemon, stress relief with peppermint, spearmint and eucalyptus (great for the cold season), and a peppermint foot scrub. They all smell delicious and bring you into the fall mood, so come pick your scent and decorate your own 8oz. jar! So there you have it. The Branson, Hilton Head Island, and Ormond Beach Top Activities of the fall! Each will appear in the corresponding Resorts Activity Packet. Thank you to Becky Brown, Marci-Anne Leysen, and Ashlie Fatino for creating this exciting list and taking photos!